Sen. Rand Paul unleashed a torrent of criticism on former CIA Director John Brennan for his comments on President Donald Trump’s meeting with Russian President Vladimir Putin. Paul, a Republican from Kentucky, has been Trump’s most vocal defender this week amid waves of negative press and hot-takes from media pundits, former Obama administration officials, celebrities, and more. It prompted Paul to respond to the former CIA director, noting that he voted for a Communist Party USA candidate Gus Hall in 1976—four years before he became a CIA employee. Brennan’s treason accusation “is coming from the guy who voted for the Communist Party USA candidate in 1976. Give me a break,” Paul wrote. 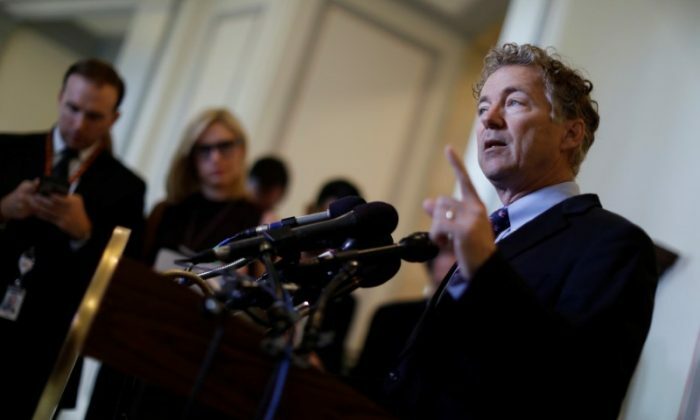 On Wednesday morning, Paul doubled down on his assertion in an interview with Fox News. “John Brennan started out his adulthood by voting for the communist party presidential candidate,” Paul said. “He is now ending his career by showing himself to be the most biased, bigoted, over the top, hyperbolic, sort of unhinged director of the CIA we have ever had. And really it is an insult to our government to have a former head of the CIA calling the president treasonous just because he doesn’t like him,” the junior Kentucky senator added. “So I don’t have a lot of respect for these people even before they decided to go on hating the president. I dislike these people because they wanted to grab up so much power and use it against the American people,” Paul continued. Trump praised Paul on Twitter for his defense this week. The ex-intelligence chiefs and others criticized Trump for appearing to dismiss the U.S. intelligence community’s conclusion that Russia meddled in the 2016 election. “This was back in 1980, and I thought back to a previous election where I voted, and I voted for the Communist Party candidate,” he said.